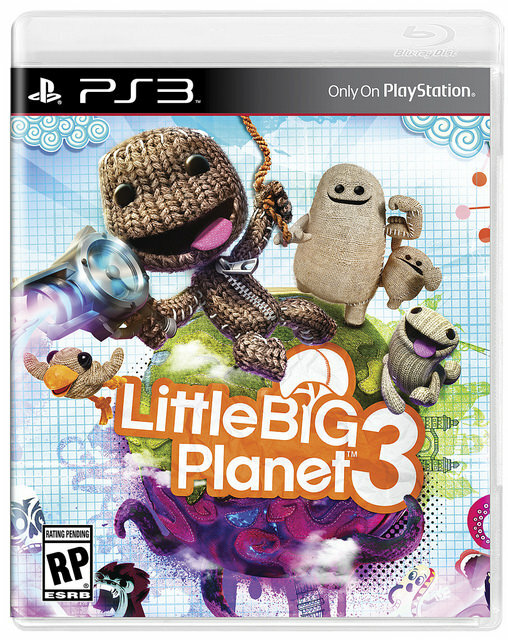 Media Molecule has unveiled the pre-order incentives for LittleBigPlanet 3 in North America, while also revealing that the game will be releasing on both the PS4 and PS3 on November 18th 2014. There are a number of pre-order bonuses to choose from, so there’s something for everyone. These pre-order offers are for North America only, with Europe’s bonuses to be announced soon. 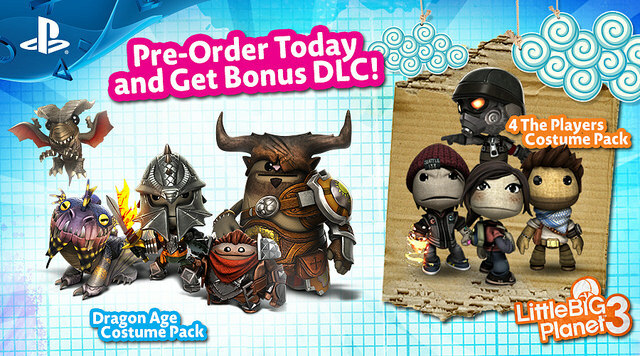 If you pre-order at participating retailers you will receive a Sackboy plush at no extra charge. 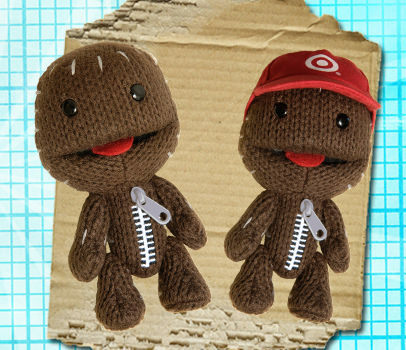 Pre-Order at Target and your Sackboy Plush will come with an exclusive Target hat. The Dragon Age Costume Pack will be a part of our Day 1 Edition that will be given to everybody that pre-orders LittleBigPlanet 3 on PS4, from any retailer or digitally. The pack, available at launch while supplies last, will equip our heroes with the perfect range of adventuring costumes based on BioWare’s latest addition to the Dragon Age series! 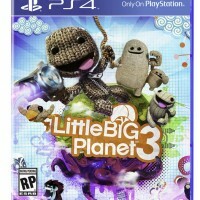 The Day 1 Edition will also include the 4 The Players Pack containing a variety of costumes based on your favorite PlayStation characters for your pre-order or launch day purchase of LittleBigPlanet 3. OddSock, Toggle and Swoop love to dress-up just as much as Sackboy so we are also announcing three additional pre-order bonus costume packs for LittleBigPlanet 3 on PS4 that will be available exclusively at select retailers. The Mythical Creatures Costume Pack and the Hidden Creatures Costume Pack will give each member of the group their own special costume for their upcoming adventure and will be perfect for anyone looking to add more fantasy to their heroic team. The PlayStation Favorite Costume Pack will feature outfits from some of PlayStation’s favorite franchises and will be perfect for those looking for a little PlayStation nostalgia. Pre-order at GameStop for the bonus Mythical Creatures Costume Pack! Pre-order at Best Buy for the bonus Hidden Creatures Costume Pack! 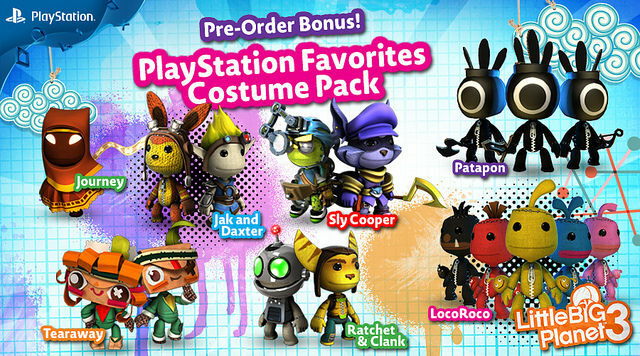 Pre-order at Amazon.com for the bonus PlayStation Favorites Costume Pack! 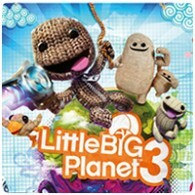 LittleBigPlanet 3 T-Shirt Pack – Instant Access content exclusive to the PS Store! 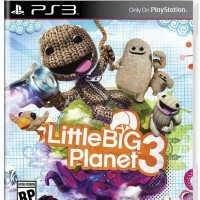 If you prefer to purchase your copy of LittleBigPlanet 3 digitally then there is something special for you. 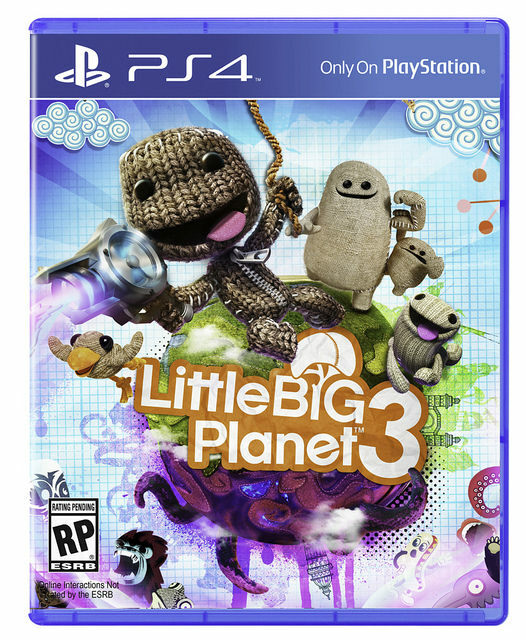 Anyone that pre-orders LittleBigPlanet 3 on the PlayStation Store on either the PS3 or the PS4 will be able to download the LittleBigPlanet 3 T-shirt Pack. Your pre-order will give you Instant Access to the LittleBigPlanet 3 T-Shirt Pack, so you can download it now and start wearing the t-shits in LittleBigPlanet 2, LittleBigPlanet PS Vita and LittleBigPlanet Karting.